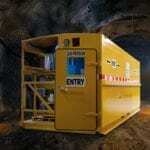 Strata Worldwide offers one of the leading brands in emergency refuge solutions available to the global mining market. 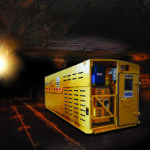 With manufacturing facilities in Australia, South Africa, the United States and Mexico, Strata’s refuge chambers are designed and built to suit the specific needs and requirements of different local territories. 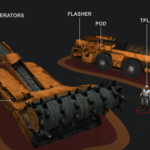 Considerable time and resources have been invested into fully understanding the issues of working underground in different mines in different countries. In the event of an emergency, such as a fire, explosion, gas leak or roof fall, emergency refuge shelters are there to provide an immediate safe environment for a pre-determined number of occupants. Mobile chambers are designed to be fully autonomous for use in remote locations with backup battery power and back-up breathing air systems. Standard supplies provide life sustaining support for 48 hours, but this duration is fully scalable. Air conditioners with dehumidifying, insulation, padded seats, food and water are all standard on Strata chambers to ensure occupant health and comfort while they await rescue.